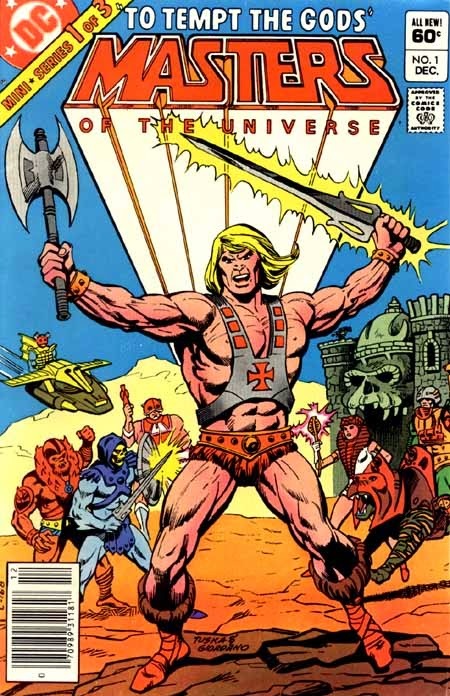 Next up in this series of fantasy comics is the The Masters of the Universe series which started out as mini-comics that came with the action figures from 1981-1983 that were made by Mattel. I only had one He-Man toy that I can remember so I don't recall reading many of them. I remember seeing the 1982 three issue mini-series from DC, I remember looking through the issues when they were on the racks but I never read them. 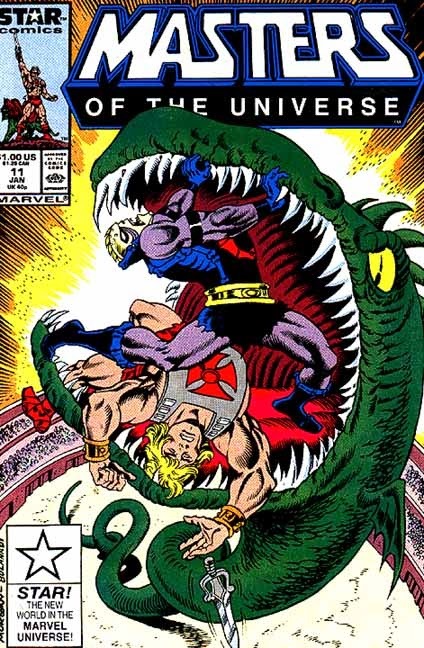 Marvel began its line of He-Man comics in 1986 through its Star imprint. the series only lasted thirteen issue but two stories were not what you would expect from a licensed comic for kids. The first story is from issue eleven where He-Man and Hordak suffer from memory loss, end working together and start becoming friends. When their memory is restored they also remember becoming comrades and are left deal with the aftermath of they went they had gone through and discovering that they were in fact enemies. The final two issues featured He-Man going through a George Bailey like what if adventure. The Power Sword is sent ten years into the future after Prince Adam considers if He-Man is needed. Adam goes after the sword to find a future where Skeletor rules Eternia and Castle Grayskull has been destroyed. There was some deep writing going on for a kid's comic. 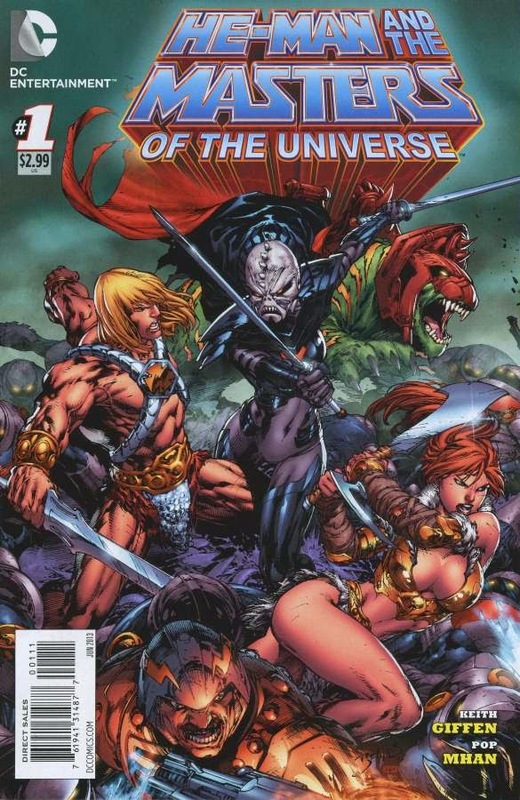 After the Marvel run there would other attempts at a Masters of the Universe series over the years but none of them really took off. In 2012 DC took another run at it with an eight issue series in 2012 and a six issue mini-series in 2013 that led into a new ongoing series that also had a crossover mini-series with the New 52 Justice League. Yes, He-Man and his allies come to the New 52 Earth and team up with the Justice League to find and stop Skeletor. I haven't read it, but it's one of those things that you want to see regardless of how awful it may be. As far as the current ongoing series at DC, written by Keith Giffen, I stopped reading it around issue four or five, I can't exactly remember. The writing was fine except for one nagging thing, when Keith had He-Man use modern day Earth slang. That's all it takes to ruin an otherwise good book. Giffen is a good writer with years of experience, that dialog never should have happened. It's a shame that's the reason why I dropped the book because the art is freaking gorgeous! Pop Mahn's pencils are amazing and I hope to see more of work outside of Masters of the Universe. I feel the need to track him down and get a sketch or a full commission.